After the announcement at the end of 2008 that the OJ Choir was about to fold, a big effort was made to contact all OJs who had been in the choir during their schooldays and encourage them to come back and sing at Gaudy Day. The response was very good, and the 2009 Gaudy Day choir numbered about 25 – a great improvement on previous years. 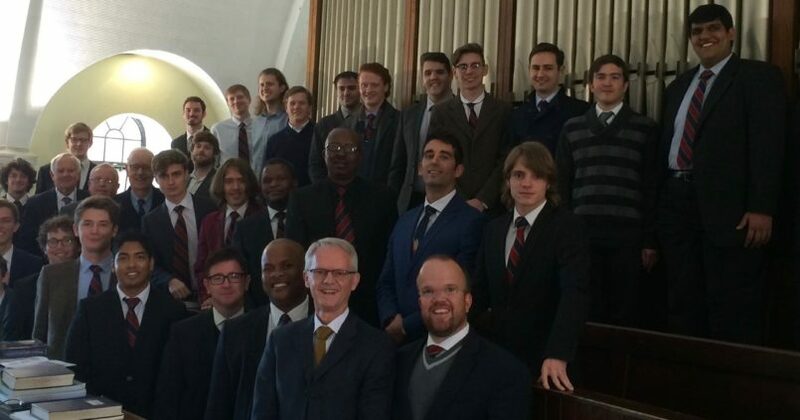 The choir was joined by members of the school choir, thus forming an actual and symbolic link between current and former Johannians. The choir will once again take part in the Gaudy Day and Remembrance Day services, and hopefully the numbers will continue to increase. Many of the email addresses and phone numbers have turned out to be out of date which means that we are only able to reach about half of the members on our list. It has been very encouraging to see a renewed interest in the choir, and hopefully we can get back to the numbers that we enjoyed for so many years.